Tower's most powerful Pauling therapy drink mix. A one-month preventive (or two-week therapeutic) supply of Tower's advanced vitamin C, lysine and proline PROFESSIONAL drink mix. 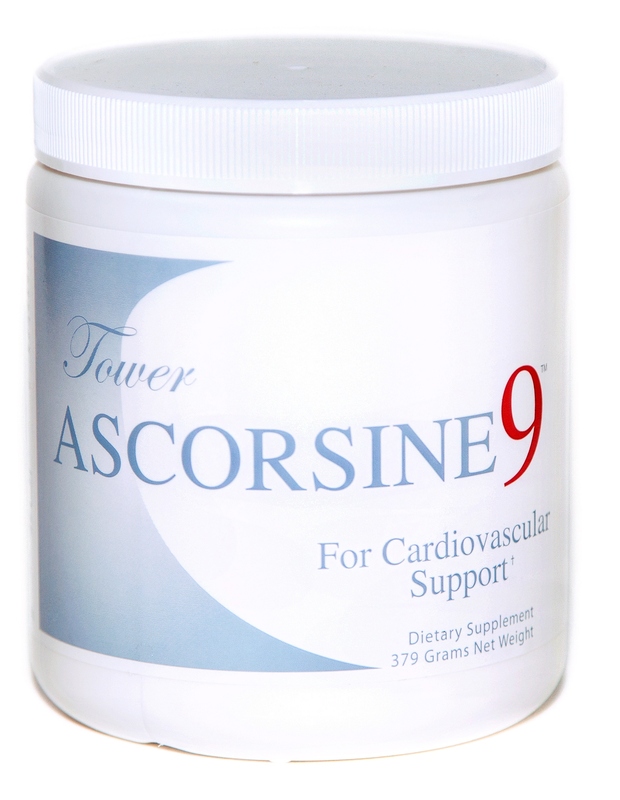 Previously sold only through physicians, the A-9 formula contains everything in the basic Heart Technology with more proline and vitamin A, and A-9 adds chondroitin sulfate CS/C, taurine, and magnesium creatine chelate. 30 servings per jar at 2 scoops per day. 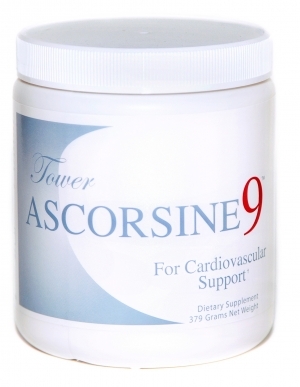 Ingredients Per Daily Serving: L-ascorbic acid (vitamin C) 3,000 mg, L-lysine 2,800 mg, chondroitin sulfate CS/C 1,000 mg, L-taurine 1,000 mg, L-proline 500 mg, vitamin A 8,500 IU, vitamin E 422 IU, L-arginine 200 mg, vitamin B6 50 mg, magnesium 150 mg creatine 844 mg, vitamin B2 2 mg, folic acid 400 mcg, and stevia 55 mg.